I started looking into collecting some individual film cells which can be found on eBay. There are a few IMAX 15/70mm cells but none of them are from the IMAX “Escape from Jakku” scene, but they’re still cool. Regarding the 70mm collections from Willits from the mid-90s, I understand they were printed not for screening, but specifically for chopping up and selling, and that’s fine by me. But I just wanted to know: do they have the 6 magnetic audio tracks? I’m guessing that’s what the black bands on each side are do but since I don’t really know anything about film I’m asking. Judging from this image there should be 4 bands whereas the Willits ones only have 2? I won’t be listening to them (lol) but I’d like to know what I’m buying. On 35mm ones: I learned to spot the Special Edition ones because of the Dolby Digital track in between the perforations. But there are some out there which are letterboxed / matted (hard matted - is this the right term?) 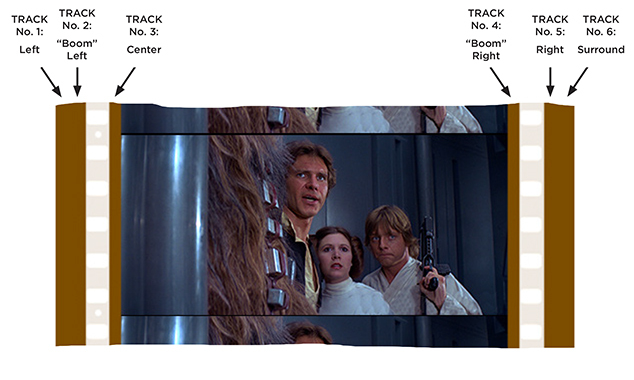 Am I right in assuming that all theatrical release prints are anamorphic therefore the matted ones are necessarily from trailers? 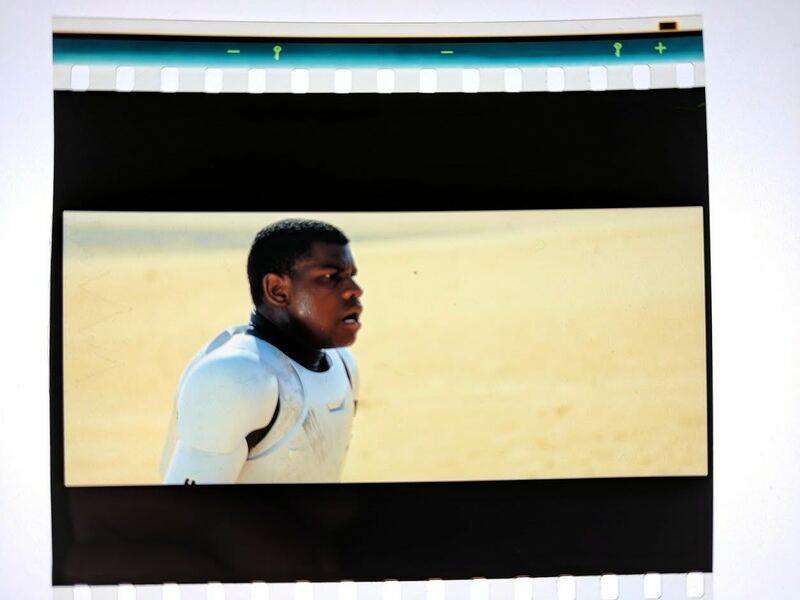 And last, but not least, on original theatrical cut film: shouldn’t all 35mm prints be all red by now? Or does that only happen with some film stock? The letterboxed one is probably from a trailer, which often ran with movies of a different aspect ratio. I used to see the projectionist physically flip the projector lens if a movie was a different aspect ratio from the trailers in the old days. Weird things would happen if they didn’t! I’ve got some of those mounted frames, and a couple loose ones from a 70mm theatrical print, (which was turning red/pink) but I can’t recall if the soundtrack is visible on any of them. Will have to dig them out and see. Interesting no frames from the Rogue One IMAX prints have turned up.